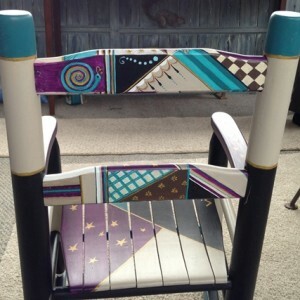 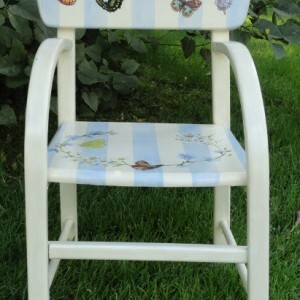 This little chair is a charmer with wonderful ‘bones’. 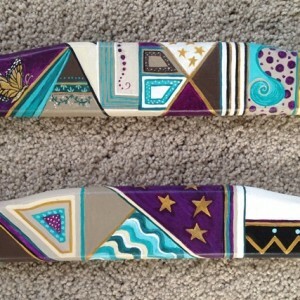 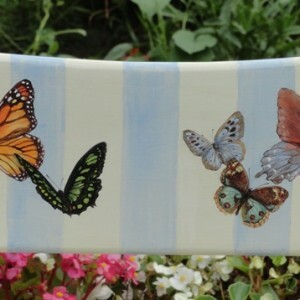 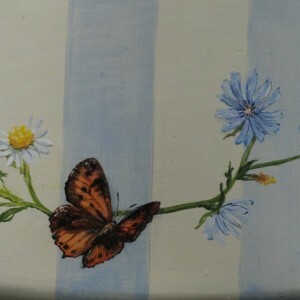 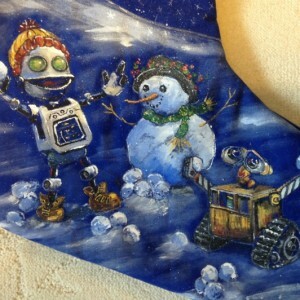 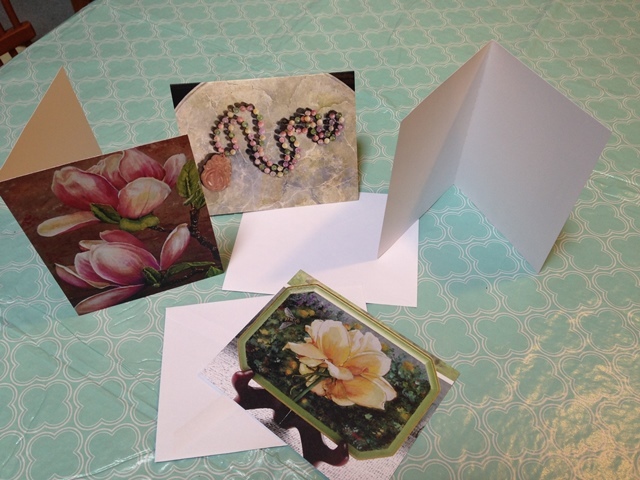 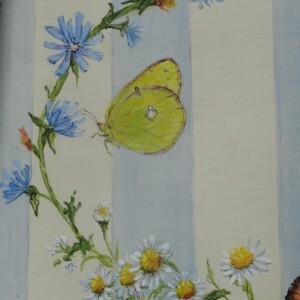 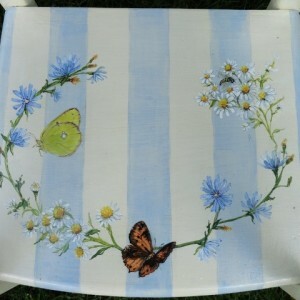 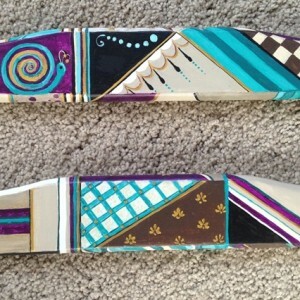 It inspired me to paint the cohesive wide soft stripes behind the flowers and butterflies. 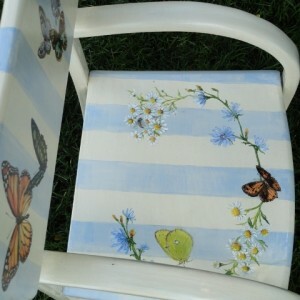 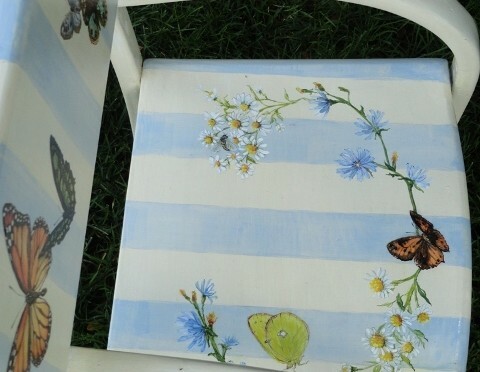 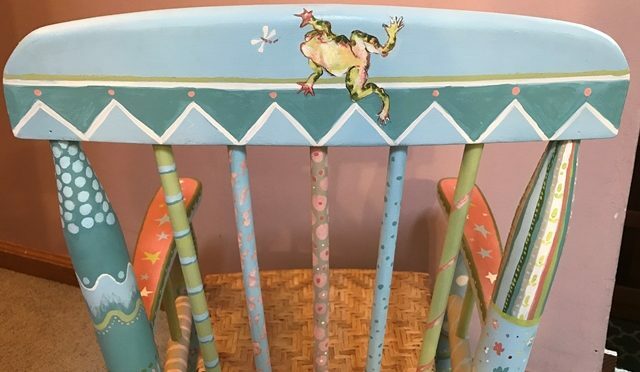 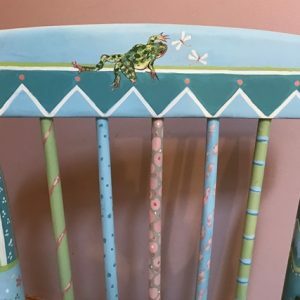 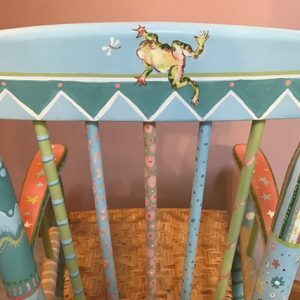 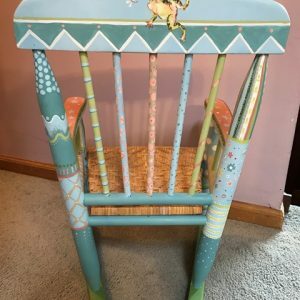 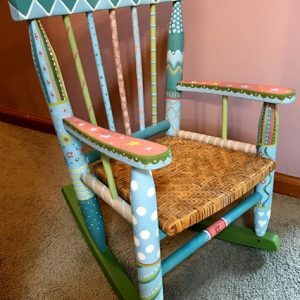 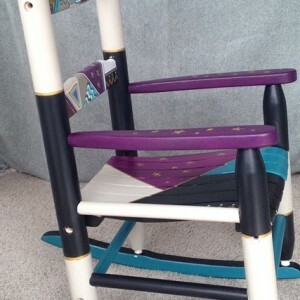 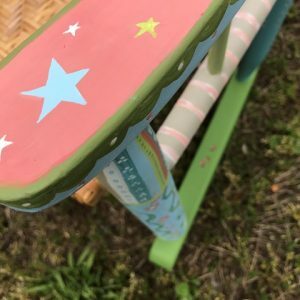 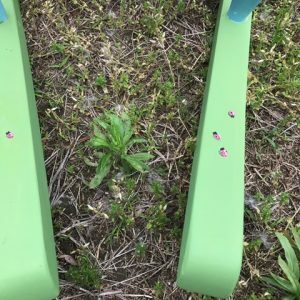 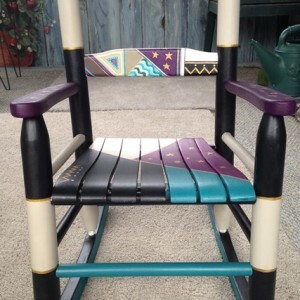 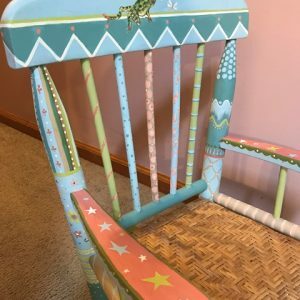 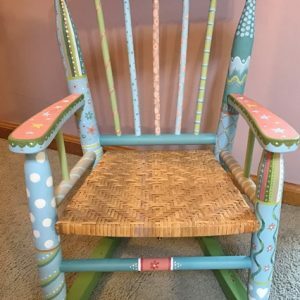 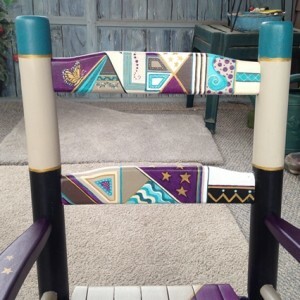 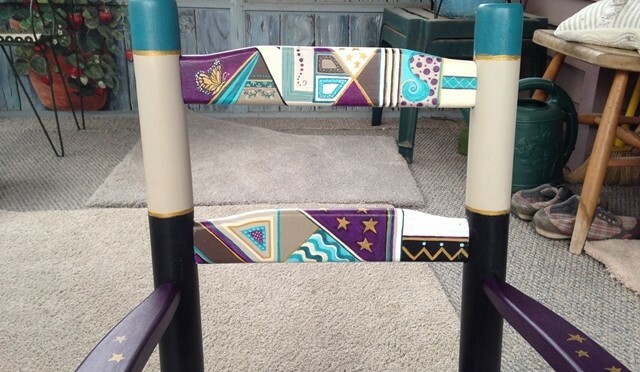 All the butterflies are real species and most are native to the Northeastern US which is where the little girl who now owns this chair lives. 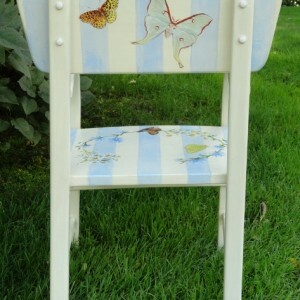 Of course I would never ignore the back!! 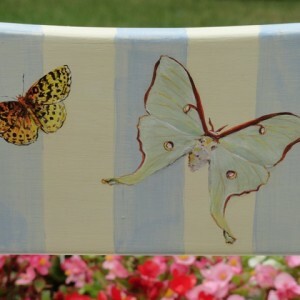 Don’t you just love Lunar moths? 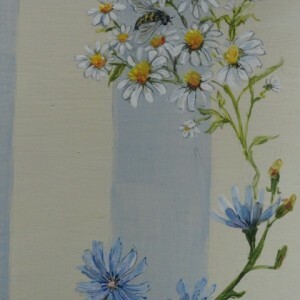 I chose to paint wild flowers like Chicory and wild Asters which are so much less formal and more likely to be part of a child’s real world.